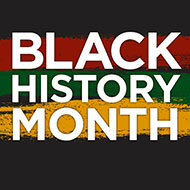 Please join us on Tuesday, March 13, from 6:30-8pm as we celebrate Black History Month. This year, our students have been learning about the history and cultures of the Caribbean and how they relate to the African American experience. Beginning at 6:30, our 4th and 5th grade students will be performing music learned in their African Drumming, Ukulele, and Chorus electives. From 7-8pm, everyone is invited to tour the school and enjoy each class’s amazing contribution to the Black History Month Gallery. There will be pizza and snacks available to buy, with proceeds going to benefit the PTA, so bring the kids for an easy dinner. There will also be merchandise for sale, including t-shirts with our new logo. We need volunteers to help make this event a success, so please sign up on SignUp Genius if you can contribute your time.